Walk to beach from this beautiful home which also has pool and spa. Spacious with two master suites and two living rooms. As you enter the pillared foyer you are immediately struck by the gorgeous view of the pool through the sliding glass doors in the formal living room. To the right of the entrance is the formal dining room in dark wood with table seating for six. To the left of the entrance is the master suite. With king bed, stereo and TV as well as a private entrance to the pool. There is a very large en-suite full bathroom with walk in shower and deep tub. There is also a walk in closet. The kitchen in this home is large and spacious, fully equipped with all the modern conveniences. There is a small table and chairs for dining overlooking the pool area. The living room has large overstuffed couches for comfortable viewing of the TV, VCR and DVD player. Just past the living room is the second master suite with queen bed and en-suite bathroom and private entrance to the pool. 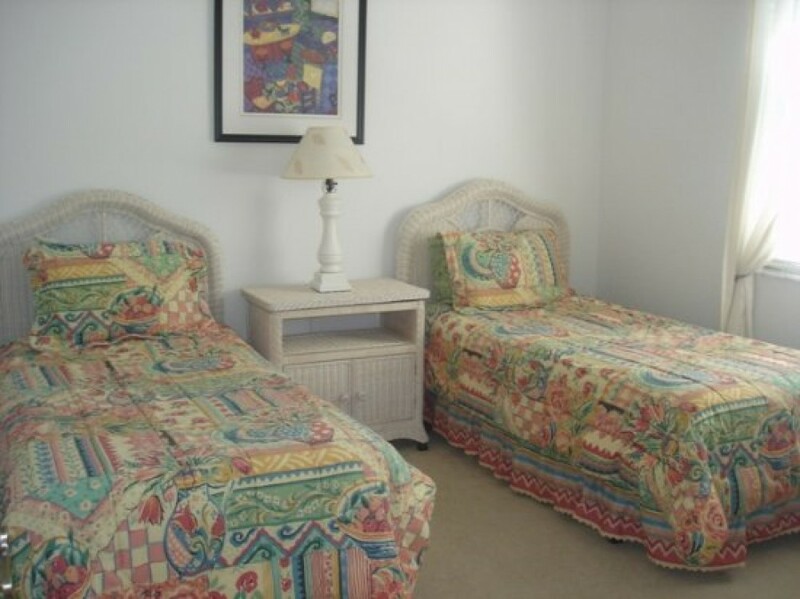 There are two other guest rooms one with twin beds and one with a full bed that share a full bath. There is a washer and dryer just off the kitchen that leads to the two car garage. A beautiful vacation home and close to the beach. Has it all! High speed internet and free calls within the US and Canada.